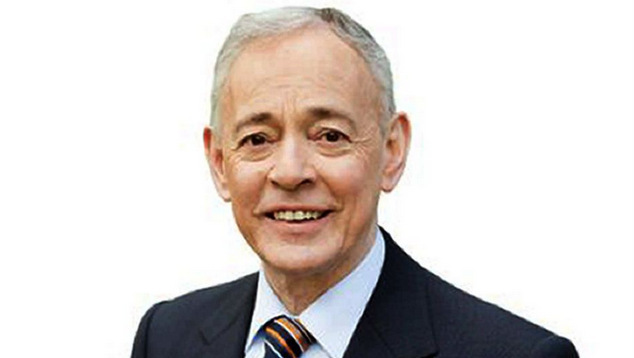 Family First’s Senator Bob Day has declared he’ll be staying on in the senate despite announcing his resignation last week. Senator Day took to Twitter to announce that since his party wouldn’t be able to organise a replacement for him he’s likely to stay on his role until early 2017. The South Australian senator said there were too many important issues coming up in the parliament for a seat to be vacant. Senator Day listed marriage equality and the government’s ABCC legislation as the reasons he was staying on. For the government to pass it’s legislation restoring the Australian Building and Construction Commission bill, it desperately needs Senator Day’s support. The legislation is one of the bills that triggered this year’s double dissolution election. Senator Day announced his resignation last week following news that the building company he owns, Home Australia Group, had gone into liquidation. The collapse of the company has left over 500 homes across 5 states incomplete. Labor leader Bill Shorten has said that the government should not accept Senator Day’s vote given the situation his own building company is in. “Clearly the government is desperate to hang onto Senator Day’s vote. Just as we saw guns being traded for votes last week, now we see insolvency and bankruptcy issues being traded off for votes,” Opposition Leader Bill Shorten said. While Senator Day’s company is in financial strife, he has not personally been declared bankrupt. If Senator Day is personally declared bankrupt he would not be eligible to sit as a member of parliament. Greens leader Dr Richard Di Natale has also been critical of the Family First member remaining in parliament. “Senator Day should resign immediately, he should focus on helping those many people who face an uncertain future,” Dr Di Natale told reporters in Melbourne. The government has denied encouraging Senator Day to stay on until the end of the year with treasurer Scott Morrison dismissing suggestions that the coalition had spoken to the Family First MP. Fellow South Australian, Christopher Pyne – the Minister for Defence Industry – told Adelaide radio station FiveAA it was “absolute nonsense” to suggest that Senator Day didn’t have a role to play in parliament. During this term of parliament Senator Day has reportedly only attended three sitting days, while being absent for 15 days, including last week’s Senate Estimates hearings. Senator Day was granted a leave of absence to sort out the problems with his building company. Despite rarely attending parliament the senator still receives his $199,040 a year salary. It’s not clear how often Senator Day plans to attend parliament in the future.